A cry out for forgiveness is what I saw in the title. If the fallout never happened, perhaps, the album would’ve been different. In my opinion, personal struggles should have no basis (or interference) when it comes to reviewing the work of an artist; but the purposeful intermingling of the aftermath throughout Queen is undeniable. It even began with the title–a word that’s practically in every gay man’s vernacular. So it’s important to understand what happened in 2014. Ten Walls made a homophobic comment (or rant) on Facebook, where he referred to gay people as a “different breed,” which led to an instant dismissal from his booking agency and record label, as well as several music festivals he was set to play, including UK’s Creamfields. The complete career shutdown was unfortunate for Marijus Adomaitis, especially since he was a budding new producer who broke through a couple of months prior with the effective “Walking With Elephants.” It’s the kind of thing that can completely destroy you and force a promising future to end (the queen is the most powerful chess piece after all). So it’s no shock he slightly devoted his debut album to the incident particularly after his public apology wasn’t widely registered. Queen is an hour and a half long cleanse broken down into two parts that teeters between meditation and self-help. It’s not an album where one song in particular shines. “Rhapsody” begins the endless ambient stream of sound that seamlessly drives into the next track, something out of deadmau5’s playbook. It’s only a mere instance in a 24-track compendium. So much so, I don’t remember the track at all. It blends incredibly well with the rest that it’s hard to distinguish one track from another. Especially when only tiny shifts in direction and sound show any distinction. The whole album can be identified as one track. It seems like Marijus scored for as long as he could and then sliced the product into 24 random parts. The titles at times even feel like he was running out of ideas (one track, “Rocky,” plays before another track, “Balboa;” and there’s even a transitional track called “Transition.”). Arguably, the album, chiefly the second part, had its insight from Castlevania-inspired “Trevor C. Belmont” and “Italo” which were the only tracks previously released. “Adi” is the closest resemblance to an apology. A man (presumably Marijus) identifies yoga and asserts that “sometimes I will say something, and I don’t mean it” in a plain spoken voice. He follows up with “before I say anything, I observe myself before I even speak to you.” It seems like he’s learned his lesson. But a smattering of tribal drums exploits the ‘sincere’ verbiage and celebrates his straight-forwardness shamelessly. It’s not an album that should, or can be listened to in one sitting; otherwise a sleep induced sleep will ensue. A little at a time throughout a work day will be beneficial, if anything to help alleviate tension. 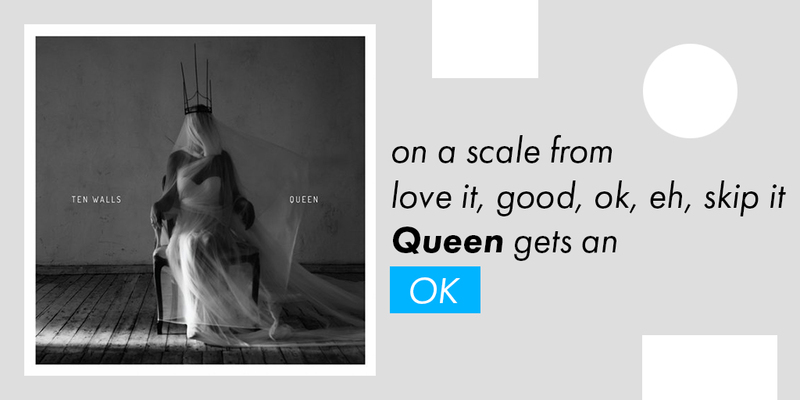 Ultimately, it wasn’t necessary to make Queen this long. By the time “Observing” and “Still Waiting” rolled around, the point of the origin has faded. It enters a completely different domain, possibly one Marijus had in mind before the infamous escapade. It’s two albums, not two parts, attached to each other. The first part devoted to the scandal; the second part devoted to himself. Queen is blisteringly consistent and extremely polished but parts of it occasionally seem disingenuous. The vulnerability is talked about but it isn’t truthfully experienced. OK.